Google Play Protect, which includes the Verify Apps security feature, helps keep users safe from harmful apps. 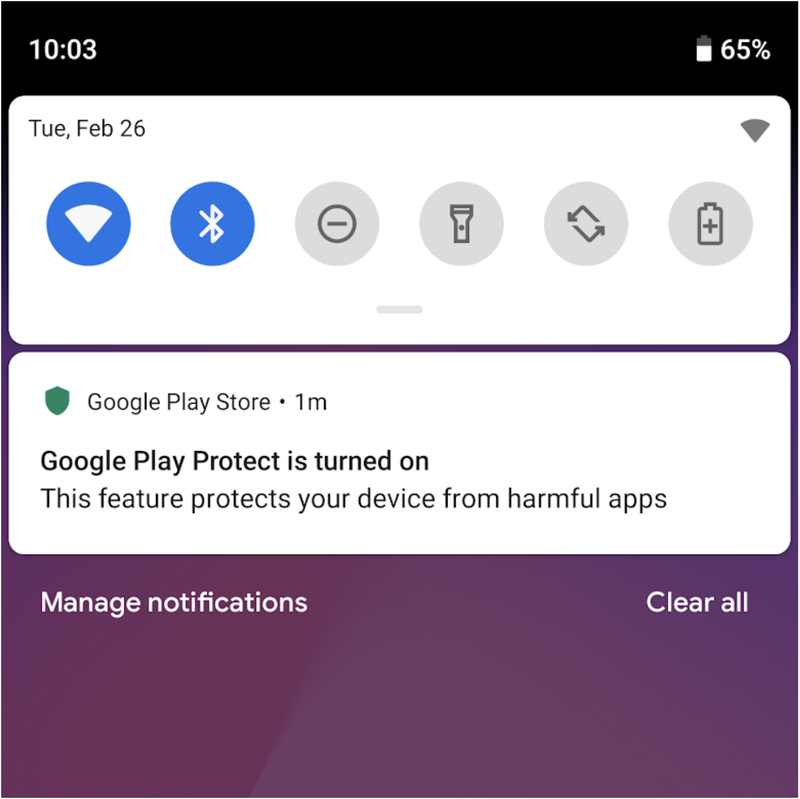 Google Play Protect is available on all Android devices with Google Play installed and provides users with peace of mind and insights into the state of their device security. 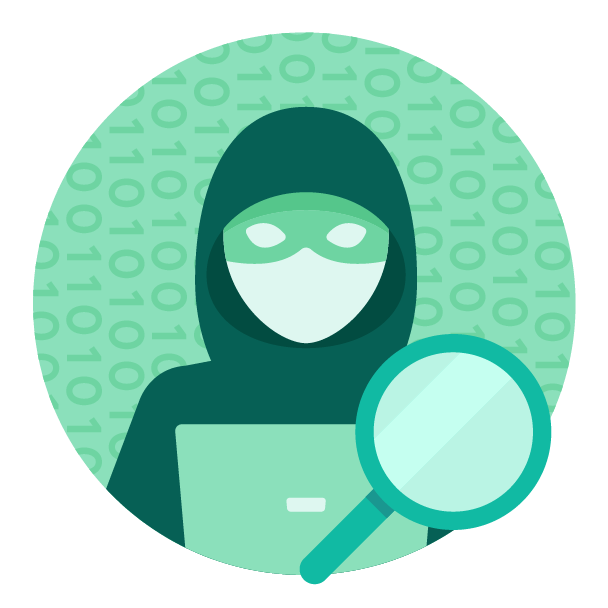 App developers can get similar security insights into the installed apps landscape on user devices from the SafetyNet Verify Apps API. 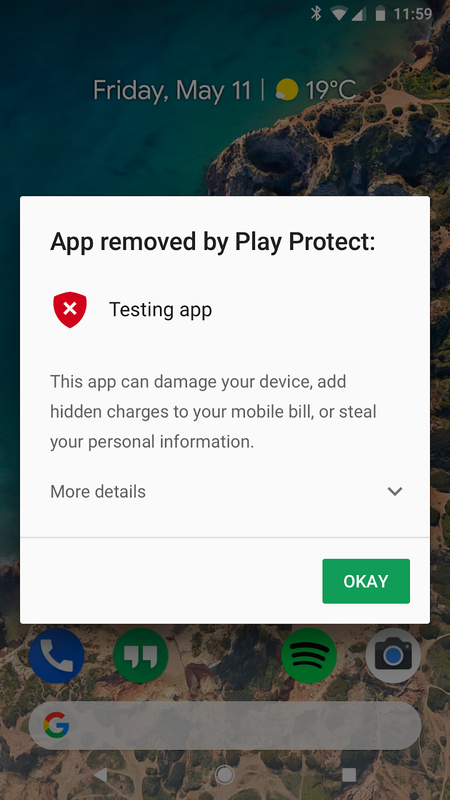 This new suite of APIs lets developers determine whether a user's device is protected by Google Play Protect, encourage users not already using Google Play Protect to enable it, and identify any known potentially harmful apps (PHAs) that are installed on the device. These APIs are especially useful for developers of apps that may be impacted by installed PHAs on the same device as their app. 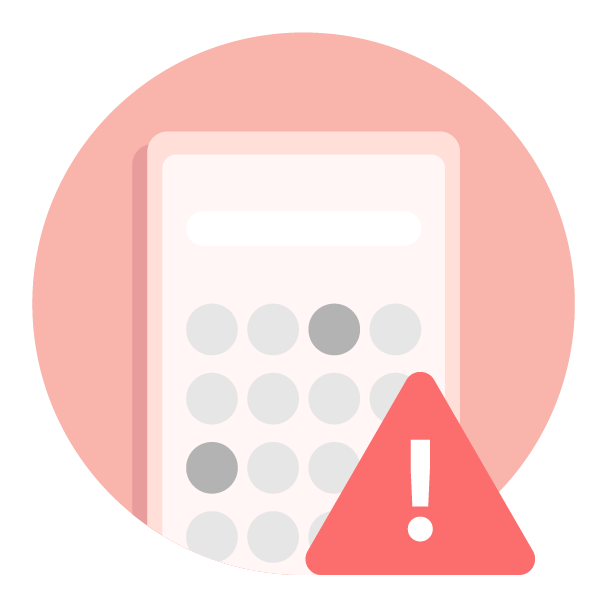 Determining that Google Play Protect is enabled with isVerifyAppsEnabled() gives developers additional assurance that a device is more likely to be clean. 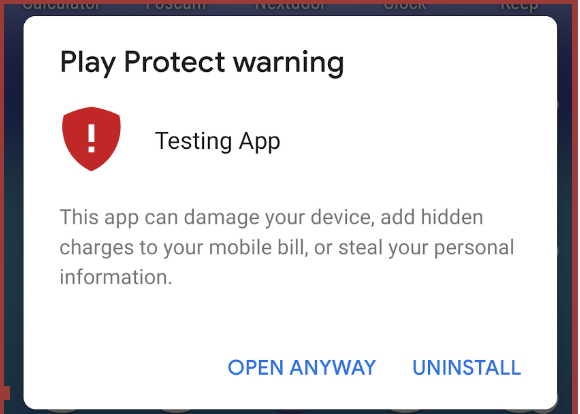 If a device doesn't have Google Play Protect enabled, developers can request that the user enable Google Play Protect with enableVerifyApps(). 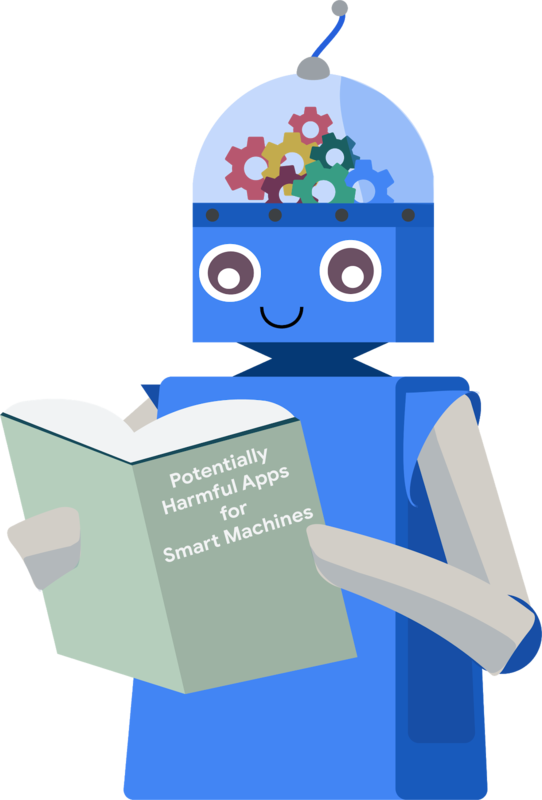 With Google Play Protect enabled, developers can use the listHarmfulApps() method to determine whether there are any potentially harmful apps installed on a user's device. 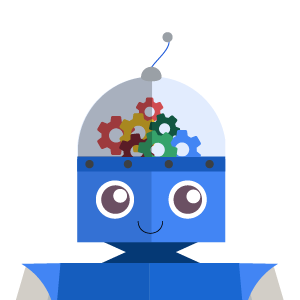 This easy-to-use suite of features does not require API keys and requesting quota. Enterprise-focused apps in particular may benefit from using the Verify Apps API. Enterprise apps are designed to safeguard a company's data from the outside world. These apps often implement strict enforcements, such as ensuring the mobile device is approved by the enterprise and requiring a strong password for lockscreens. If any of the criteria are not satisfied, the enterprise may revoke credentials and remove sensitive data from the device. 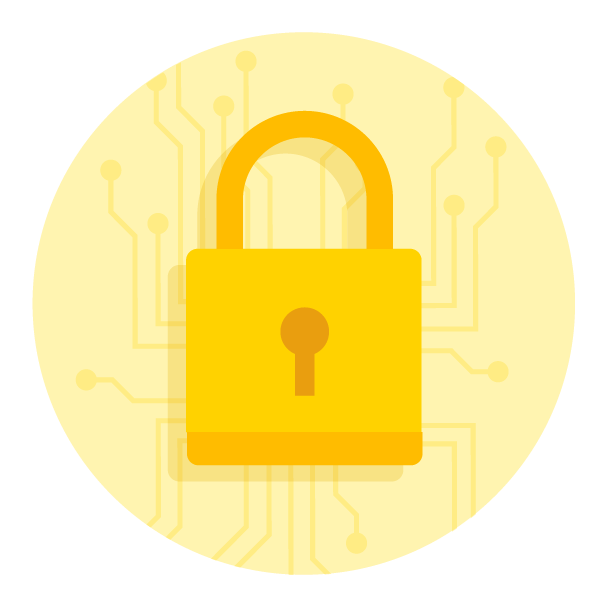 Having a mechanism to enforce Google Play Protect and scan for PHAs is another tool to help enterprise app developers keep enterprise data and devices safe. For better protection, developers should use the attestation API along with the new Verify Apps API. Use the attestation API first to establish that the device has not been modified from a known state. 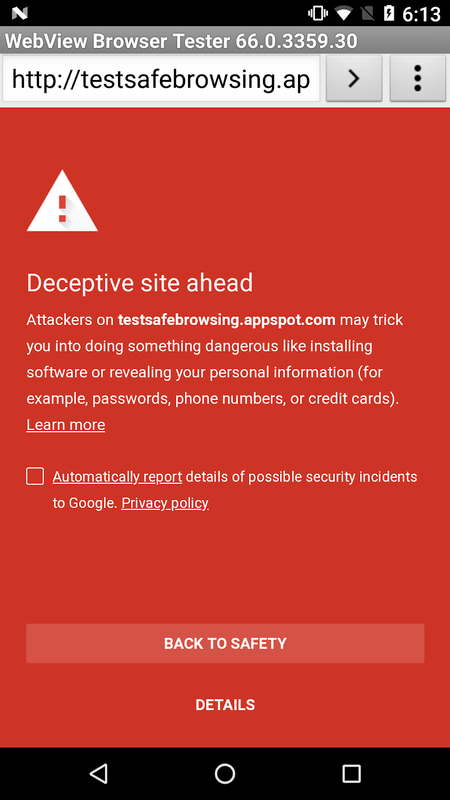 Once the Android system can be trusted, the results from the Verify Apps API can be trusted. 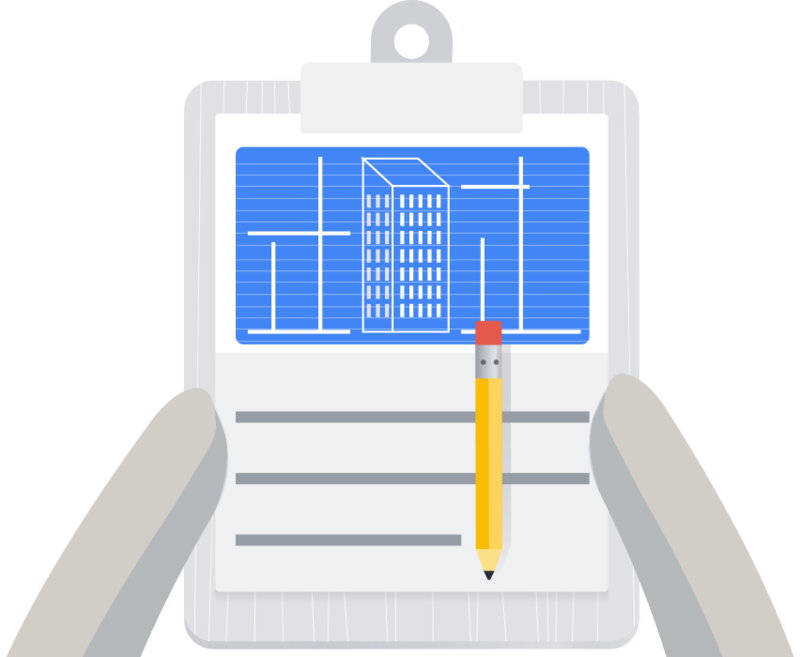 Existing attestation API users may find additional benefits in using the Verify Apps API as it may be able to detect on-device PHAs. In general, using multiple signals for anti-abuse detection is encouraged. To learn how to use this API in your app, check out the developer docs.